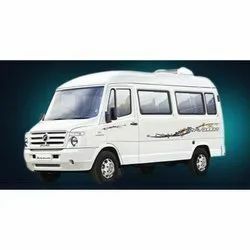 9 / 13 Seat Winger and 17 /21/ 25 / 31 / 35 Seat Tempo Traveller and Mini Bus for Mumbai Darshan. Mahabaleshwar, Goa, Lonawala, Adlab Imagica, Essel World, Water Kingdom, Puna, Katraj, Vani, Alibag, Jejuri, Ganapati Phule from Mumbai to Maharashtra, Gujarat, Goa. We are engaged in offering 16 Seater Tempo Traveller Rental. We are a top notch supplier of 16, 26 Seater Tempo Traveller Rental. We are a top notch supplier of 16 Seater Tempo Traveller Rental. Our reputed entity is engaged in supplying 16 Seater Tempo Traveler Rental. Maa Ambe travels offers Pune to Shirdi cab and Pune to Mumbai cab at very reasonable fare.